Royalty-free stock illustration of a black pug dog with a curly tail, standing on alert with its tongue out, possibly feeling threatened or anxious. Royalty-free stock illustration of a black pug dog with a curly tail, lying down on the floor and tilting its head with curiosity. Royalty-free stock illustration of a black pug pup with a curly tail standing on all fours and slightly tilting its head. 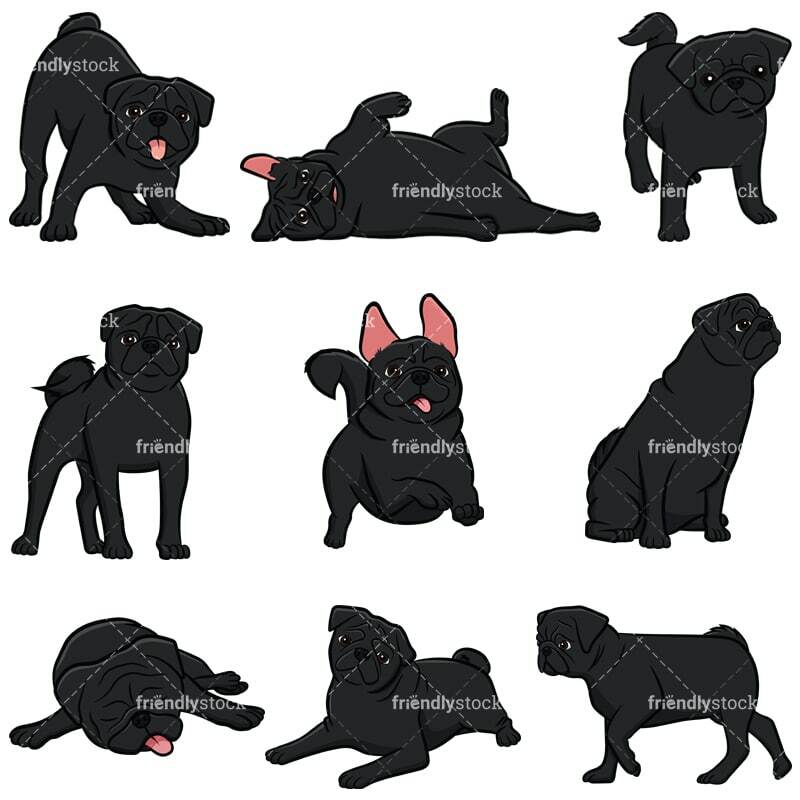 Royalty-free stock illustration of a black pug dog rolling with its back against the floor looking happy and seeking some petting from its owner. 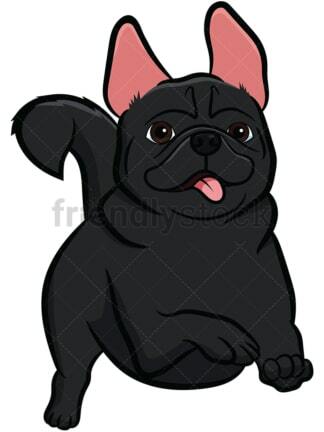 Royalty-free stock illustration of a black pug dog with a curly tail and its ears erect, running with its tongue out, looking happy. 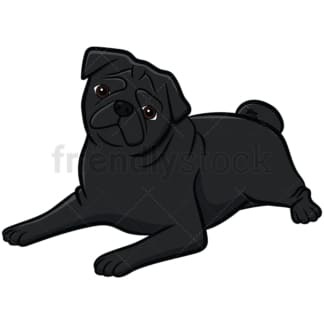 Royalty-free stock illustration of a black pug dog with a wrinkly face sitting on its hind legs and looking distracted by something. Royalty-free stock illustration of a black pug dog with a wrinkly face lying down on the floor with its tongue out and taking a nap – looking exhausted. 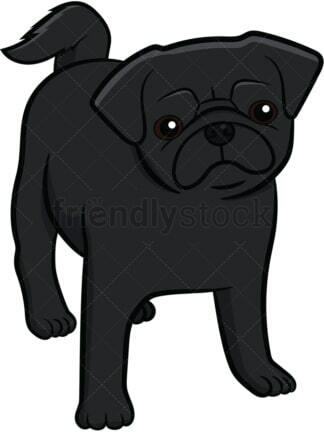 Royalty-free stock illustration of a black pug dog with a curly tail and wrinkly face, standing on all fours and staring. 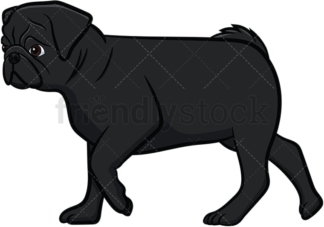 Royalty-free stock illustration of a side view of a black pug dog with a curly tail and wrinkled face walking forward.